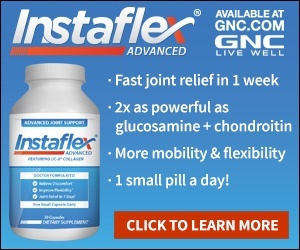 Instaflex is a rip-off company. Unauthorized charges. No return procedure with product. 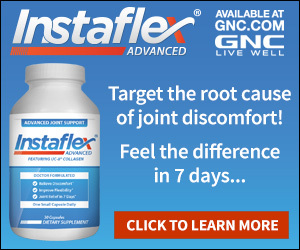 Instaflex has deceptive advertising practices. I ordered the sample at $4.99. There was no mention of further products being sent. I did not authorize further charges. However unauthorized charges were made to my account. A further deception is to mail the product without providing billing information and the return procedure. A customer should not have to guess about how to return the product that information should be included with the product mailed. When I called to complain about the authorized charges and to cancel further receipt of Instaflex, I was told the computers were down for the day and cancellation could not be processed. Review #281812 is a subjective opinion of User281812. Jeff, we're sorry you did not get through immediately but we do average less than 2 minute wait time. We do have an online canceling mechanism that customers may use 24 hours a day. All you need to do is use the contact form on our site or email us at support@instaflex.com with your name/address and simply say you want to cancel your account. We'll be able to handle it for you from there. Before I placed my free trial offer, I decided to try the 877 phone number for cancellation, just to see if someone was on the other end. Sure enough, only "hold" elevator music and an occasional "Your call is very important to us". If this company was on the up-and-up, they would have an online mechanism for you to cancel your enrollment in their auto-ship program. Needless to say, I didn't place my order. We're sorry you had an issue with getting in touch with us over the phone. We'd be happy to help you with the return procedures. We can be emailed 24 hours at day at support@instaflex.com or you can also use the contact form on the site.